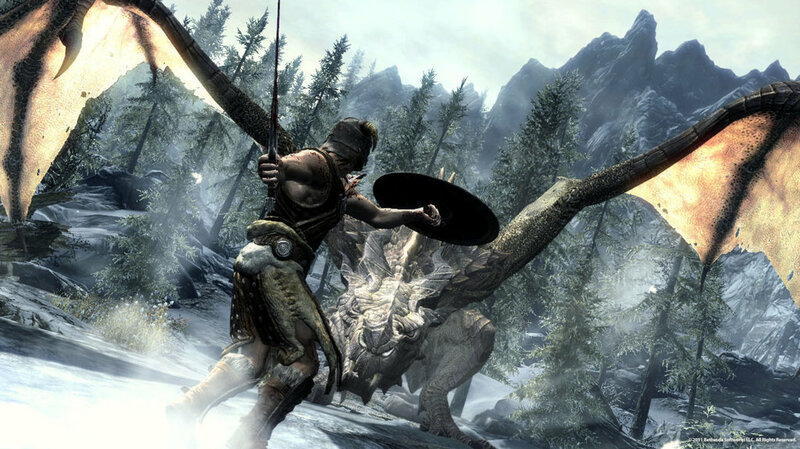 Despite the constant cycle of re-releases, Skyrim is getting old by video game standards. Although revolutionary at the time, years of reflection have not been kind to this game. It's hard to play it now and not notice the stiff animations, copy-pasted quest lines, and of course all the bugs and quirks of the engine. But Skyrim paved the way for bigger, more ambitious open world games to come. In the years following games like The Witcher 3, Assassin's Creed Odyssey, and the Legend of Zelda: Breath of the Wild took the idea of non-linear gameplay and expanded upon it immensely. Each of these games are masterpieces in their own right, and leave the Elder Scrolls franchise feeling more than a little dated. 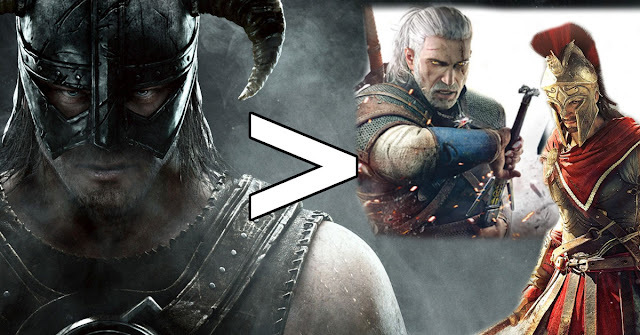 However, there is one thing Skyrim does far better than its successors, and nobody seems to talk about it—and that is how it handles enemy level scaling. Difficulty progression is always going to be tricky with open world games. After all, the point of non-linear game design is to allow the player to carve their own adventure, so how can you balance the difficulty of enemies no matter what order the game is played in? In the case of Assassin's Creed Odyssey, they scale enemy levels to more or less match your own. In theory, this gives you consistent difficulty wherever you may roam in ancient Greece. There are some flaws with this design however, and the community was quick to notice. For one, enemies don't scale down to your level—only up. This means you still can't go anywhere you want, because that level 45 area isn't very accessible to you at level 12. And second, you never really feel like you're improving as you play. You get stronger, but so do the enemies. Arguably it's abilities, equipment, and player skill that matter as you go, but in that case why have levels at all? Don't worry, they're both the same level. For an example of an open world game that doesn't bother with levels, look no further than Legend of Zelda: Breath of the Wild. This game is about as non-linear as it gets; you can even do the main story parts in any order, or skip them entirely. Some areas are more dangerous than others, however, so you might wander into the wrong neighborhood and find yourself seriously out-classed. If you ever stumbled upon one of these guys, you know what I mean. 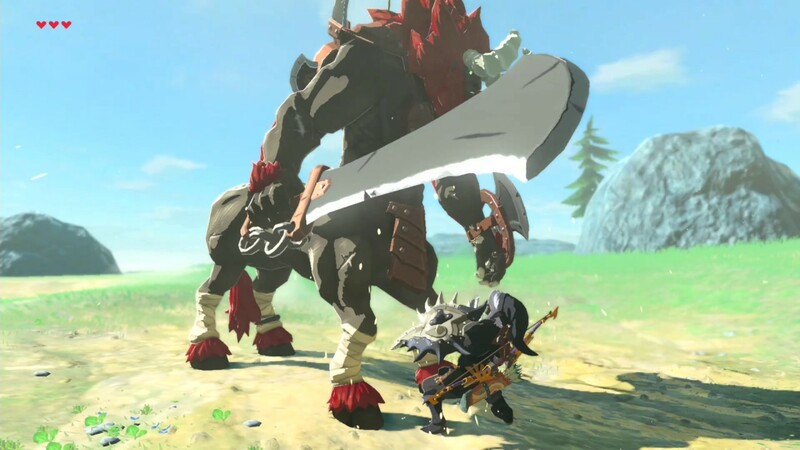 To keep things interesting throughout the potentially hundred-hour adventure, Breath of the Wild has its own way of scaling enemies. Each enemy comes in color variants that get progressively stronger. As you kill more of a certain type of enemy, stronger versions will gradually spawn into the world. 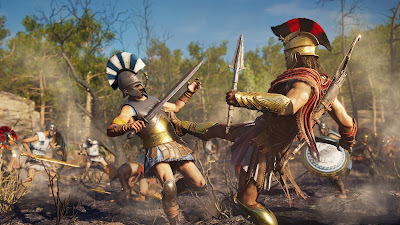 This does keep you from mowing down weak enemies with ease, but ultimately has the same problem as Assassin's Creed; it creates a "Progression Treadmill," where getting stronger doesn't mean as much as it should, since the enemies are advancing at a similar pace. So what if you don't scale the enemies? That's how The Witcher 3 handles it. The difficulty of men and monster is fixed, whether you run headfirst into the battle early on or stick to safer areas. A lot of good can come from this approach. Morrowind also didn't scale with you, and that turned the open world into a dangerous, threatening place. Best of all, when you do get stronger in Morrowind, you feel a true sense of catharsis. The once-threatening island of Vvardenfell becomes a playground for your godlike powers. But The Witcher 3 doesn't quite nail it. This is a game where branching narrative and truly engaging sidequests are the main appeal. I genuinely wanted to go off on every little side mission while playing The Witcher. It's the kind of game to take your time playing, and meander your way through it at a leisurely pace. 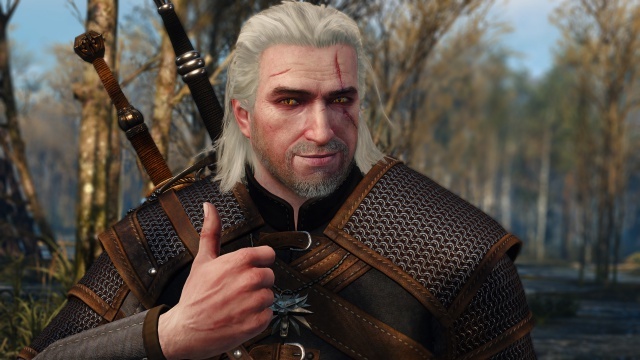 Geralt would rather play cards than save the world, anyway. The problem is in doing so, you'll find yourself severely overpowered. I never specifically "grinded for levels," but midway through the main story I realized that combat was rather pointless. I didn't really need to employ strategies, nor did my build and equipment matter. Nothing was all that threatening, and without the harsh beginning difficulty of Morrowind the strength felt unearned. Over time, both The Witcher 3 and Assassin's Creed Odyssey got patches to fix this problem. The Witcher added an option for weaker enemies to scale up, while Odyssey gave you the choice for enemies to be anywhere from two to four levels below you. These are both patchwork fixes though, and neither offer a solution to the underlying problem. So how does Skyrim handle it better? For starters, it's not an all-or-nothing approach like the above games. You see, the first time you enter an area, that location is scaled to your current level. It'll try to present an appropriate challenge as you are now. But importantly, that area is locked at that level. If you come back to the scene of your early adventures, you'll see just how much stronger you've become. You write your own path, and the game remembers. There's even more nuance to it than that. Every area will only scale within a certain range. The bandits at that little mine might get some better equipment if you go there later on—but the days of highwaymen wearing full Glass Armor were left behind in Oblivion. Likewise, epic late-game dungeons will only go so easy on you if you venture into them too soon. Is Skyrim's level scaling perfect? Of course not. It can lead to some of the same problems that plague these other games. But I do think Skyrim got closer to an ideal solution than any game before or after, and it surprises me that this system hasn't crept into more modern games. What do you think? Do you prefer the level-scaling (or lack thereof) in a different game? Or do you have a better idea at handling difficulty in a non-linear adventure? Let me know in the comments below!